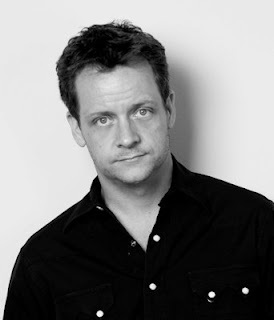 Please welcome Trey Garrison to The Qwillery as part of the 2012 Debut Author Challenge Interviews. 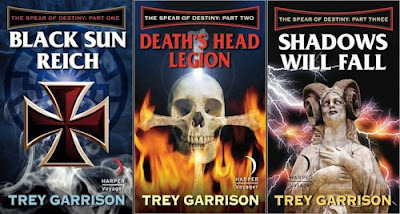 Trey's debut novel, The Spear of Destiny, will be published in 3 e-parts starting in December 2012. A print version will follow. You may read Trey's Guest Blog - On zombies, Nazis, robots and cowboys: Writing the book was the easy part - here. Trey: Thank you. It’s a great site and I love the dedication you bring. I love your mission and the fact that you give debut novelists a platform. Trey: When I’m writing, I don’t read other fiction. I ended up with a stack of books I’m still working through. This manuscript took six months – January 2010 through the end of June, and about 75 percent of the time my Chihuahua, Harley, was sitting on my lap while I wrote. I have a man-cave office full of all my favorite sports and comics paraphernalia, as well as action figures and posters that relate to the manuscript. But I almost never write in there. I write in a lounger in the den. I end up buying props and things that are in the book. I bought a model of the airplane I based the Raposa on, as well as a vintage Flying Tigers patch and blood chit that I had sewn on a bomber jacket. I don’t know if it helped, but it was just something I felt compelled to do. I also have a stack of 3x5 index cards bound with a rubber band. I have it with me all the time. I take down notes, lines of dialog that occur to me, or even scenes I want to flesh out later. Trey: The list is long. In terms of thrillers, humor and science fiction, I’m a big fan of Robert Heinlein, James P. Hogan, Poul Anderson, Harry Turtledove, S.M. Stirling, F. Paul Wilson, L. Neil Smith, Ayn Rand, Robert E. Howard, H.P. Lovecraft, Greg Rucka, Mike Resnick, Vernor Vinge, Robert Anton Wilson, John Kennedy Toole, George R.R. Martin, George Mann, John Ringo, Christopher Buckley, and Brad Thor. (I know, it’s all over the place.) Of course there’s the grandfathers, Jules Verne and Ray Bradbury. I really like how Vernor Vinge’s primary heroes resolve their conflicts not necessarily with who has the biggest gun, but using ideas, free trade and smarts. Likewise is the case with Poul Anderson’s technic series, with Nicholas Van Rijn as a merchant hero. In fact, one of my characters is a salute to Old Nick. Trey: I tried making a detailed outline of the plot, and overall I generally stuck to it, but at least for me a story is a living entity that takes on its own life as it unfolds. A lot of the storyline flowed naturally from what I was writing, so the outline became more of a suggestion than a hard guide. Trey: Getting started on a daily basis. Once I get started it’s easy but resolving to actually start each day is a hurdle. The thing is, no one told me that writing the manuscript was the easy part for a first time novelist. The real hard work began trying to get an agent to give me a read. I actually knew the man who ultimately became my agent, David Hale Smith, before I started all this. We’d even worked together on a few non-fiction projects. But selling him on investing his time in my novel was still an uphill battle. Of course, he’s a great agent because he’s so discriminating, and his initial notes really helped me upgrade my manuscript to a much higher level than it started. Likewise my editor at Harper Collins, Will Hinton, really pushed me hard, and where the novel is strongest it likely is where he had the biggest influence. It was hard work, but well worth it. It’s a much better story than my first draft. TQ: Describe The Spear of Destiny in 140 characters or less. Trey: It’s an alternate history adventure series with elements of dieselpunk and unapologetic, old-fashioned fun. And it’s got Nazis, zombies, robots and cowboys. TQ: What inspired you to write The Spear of Destiny? Trey: I love the intensity of stuff like the Bourne movie series, but when you’re done you feel like you’ve been through a wringer. I remembered how I felt when I was a kid seeing Raiders of the Lost Ark, and how I came out of the theater excited and ready to take on my own adventure. I wanted to recapture that kind of fun in a story, and have a hero who was realistic but still imbued with the old-fashioned virtues that predate the rise of the anti-hero. He may not always live up to those virtues, but he certainly strives to. I guess the bigger picture was that I love writing, but after almost 20 years writing for newspapers and magazines, I was ready to get away from non-fiction and make my mark. This isn’t serious literature and I have no pretensions about writing the Great American Novel – it’s just what I hope is a fun adventure yarn. TQ: What sort of research did you do for The Spear of Destiny? Trey: I think readers are actually more forgiving of anachronisms in historical fiction than in alternate history fiction. You have to create a world that is plausible and consistent. I always was fascinated by the 1920s and the prosperity it saw, like they saw in Hong Kong under John Cowperthwaite. It was a time of great societal revolution and changing mores owing to the automobile and other technology and social causes. It was a time of individuality and individual rights grew for everyone, but at the same time you saw the horrible, statist idea of prohibition. I immersed myself in the advertising, the music, the fashion, and the journalism of the era. It might be a throwaway description, but I wanted to have the characters dressed in the right kind of clothes, using the right lingo, and employing the technology of the time – although of course being an alternate history I had plenty of room to play around. I included a large number of real historical figures as both supporting characters and antagonists, so I had to research a lot about each of them. I also had to speculate on what the Third Reich might have been like had the Beer Hall Putsch been successful, which allowed me to keep the story in the 1920s but still have the Nazis as the adversaries. I really enjoyed exploring the Roma culture. They’re a fascinating people that usually get badly treated by writers. Learning their mythologies, philosophies and lifestyle was a gas. I get where they’re coming from. The one thing I dislike about the majority of alternate history is that almost invariably the writers bring things around to status quo ante – the South is victorious but ultimately succumbs to reunification, America eventually gets free of British rule by the 20th Century after missing their chance in 1776, and so on. I say let it ride. Let’s look at a really different world without some divine sense of fate bringing things around to how the real world is. Overall, alternative history is like jazz, I guess. You have to know the rules and the fundamentals before you can riff on anything. You have to have plausible reasons that history went this way instead of that. You have to know these people to speculate how they would have been if things had been different. Trey: I always had a fear of writing fiction because ultimately every character is an extension of the writer, to one degree or another. I didn’t want people to think I was as screwed up in the head as some of the worst villains in my story. I disturbed myself with some of the scenes involving the telepathic sadist Der Schadel, which I think is ultimately a good sign since that was the purpose and the intent of the character. I wanted to establish early on that the stakes were high. While this was at heart a fun adventure, writing his scenes was emotionally taxing. 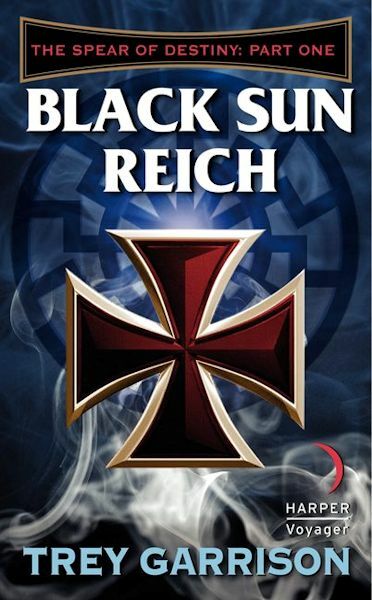 The doctor, Kurt von Deitel, is the reader’s avatar into this alternate history. Through his eyes you get a sense of how different this world is, without boring exposition. He’s also the anchor to reality in scenes with the primary hero, who is larger than life in many ways. Rucker is the kind of man I strive to be, but the doctor is a more realistic extension of my own frustrations and insecurities. Writing Deitel was a blast because of this, and because he brings a certain dour sense of humor and an amusing, nebbish sense of persecution to the story. TQ: Without giving anything away, what is/are your favorite scene(s) in The Spear of Destiny? Trey: I think all the scenes with dialogue, action and argument between Fox Rucker and Deitel were my favorites. They’re so very different and they don’t get along much, and that conflict makes it compelling and opens the door to a lot of the humor. In a way, the doctor is the primary hero of the story because undergoes the most dramatic metamorphosis of any character, growing far beyond what he starts as. Rucker is the catalyst for that change. Trey: Holy cow, I have to write a sequel. It’s part of a two-book deal. It’s actually something I look forward to because I love the world and the characters I created for the first book, and I want to explore more of that world in the second book. I hope readers enjoy this other world as much as I enjoyed creating it. I hope this is received well enough for an ongoing series. Trey: I really appreciate the time you take to do this. I think all us first timers really enjoy the opportunity and exposure you give. Thank you for inviting me into the fold. And don't miss the other parts of this serialized novel—Part Two: Death's Head Legion and Part Three: Shadows Will Fall. The North American continent is made up of several rival nations, and a Cold War is building among them. The Nazis rose to power a decade ago. People travel by airship, and powerful organizations calculate with Babbage's Difference Engine. The Nazis have hatched a plot to raise a legion of undead soldiers. Enter Sean Fox Rucker and Jesus D'Anconia Lago, two Great War veterans and freelance pilots who are pulled into the quest. They are joined by a brash Greek merchant, a brilliant Jewish cowboy, and the woman who once broke Rucker's heart. This ragtag band of reluctant, bickering, swashbuckling heroes is soon locked in a globe-spanning race against Nazi occultists, clockwork assassins, and a darkly charismatic commando. In a world where science and the supernatural coexist, and the monsters of legend are as real as the necromancers who summon them from murky realms, our heroes alone stand before the rising shadows. But all their efforts may not be enough.